Joseph James DeAngelo appeared frail, weak, and only half aware of what was happening as he was brought into court in a wheelchair… but was it all an act? The 72-year-old defendant entered the Sacramento County courtroom in a wheelchair on April 27, represented by a public defender Diane Howard, who told the reporters that DeAngelo is “depressed and fragile.” DeAngelo himself spoke only a few words, telling the judge very slowly in a feeble voice that he would accept a court-appointed attorney. 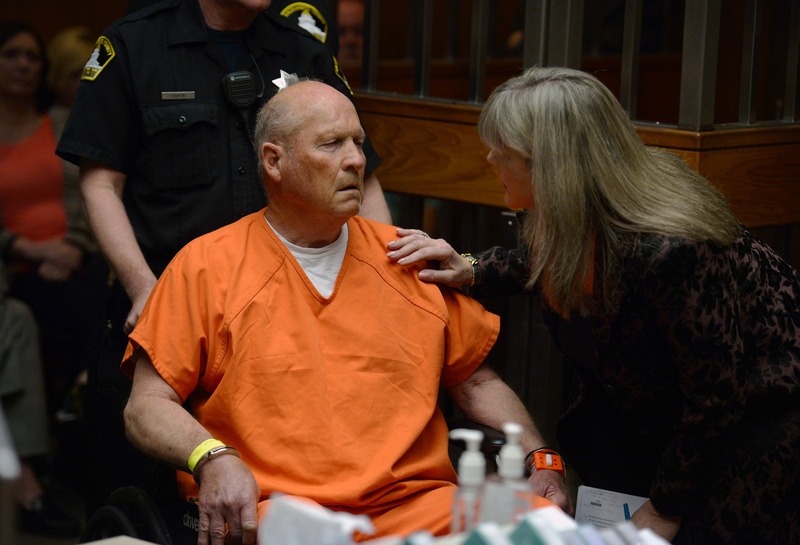 Is Joseph James DeAngelo acting in a bid for sympathy from the court? True Crime Magazine covers 5 reasons to believe DeAngelo is trying to fool us. Following DeAngelo’s arrest on April 24, a Save Mart spokeswoman told the media that the arrestee spent more than a quarter-century working for their store chain. From 1990 until his retirement in 2017, DeAngelo was a truck mechanic at the Roseville distribution center for Save Mart Supermarkets. Considering the physical nature of the job, an image of the sickly old man DeAngelo is trying to uphold does not really blend in with the big picture. According to Sacramento County Sheriff Scott Jones, DeAngelo was under surveillance for six days as police sought to learn his pattern of movement to see how he might react if confronted. Officers then developed a plan to arrest him outside rather than in his car or in his home. Although DeAngelo turned 72 last November, the police had a good reason to consider him physically and mentally capable of backfiring during the arrest. When the handcuffs were in place, the alleged serial killer appeared to be searching his mind to implement a long-standing plan to stave off apprehension but fortunately, had no time to execute it. 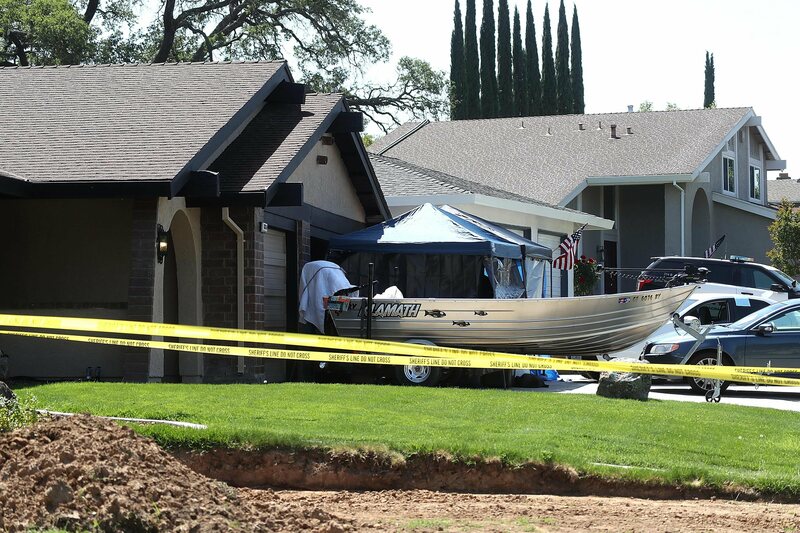 While collecting evidence from DeAngelo’s house, investigators towed away two cars, a Volvo and a Toyota along with a fishing boat the killer kept in his three-car garage. Neighbors also said he owned a motorcycle appeared to be a “nice old grandpa” living in a tidy, suburban home with a neatly kept green lawn. Another neighbor told the Sacramento Bee that on the day of his arrest, DeAngelo was working in a garage and building a table. That sounds like a pretty active grandpa, isn’t it? The EAR/ONS suspect Joseph James Deangelo and his partner Mike Morello play fuzzball with two teenagers on the street. According to Gorman, “These rages went back decades, to 1994, when DeAngelo left a voice mail threatening to “deliver a load of death” if the dog did not stop barking. An exclusive historical tour revisiting the biggest single mass suicide in modern history.